How Much Can You Make in a Human Resources Career? What Courses Can be Taken for an Online Human Resources Degree? Behind every well orchestrated organization is a strong human resource team. This department handles recruitment, training, compensation, benefits, employee relations, and organizational development. Therefore, students who earn a bachelor’s degree in human resources qualify for a variety of lucrative career paths upon graduation. In fact, according to the Bureau of Labor Statistics (BLS), these professionals earn an average of $110,120 per year. A bachelor’s in human resources exposes students to human resource principles and practices. This degree also establishes a bridge between technology and business while developing pertinent collaboration and communication skills. Additionally, many learners gain an understanding of finance or education. While students can attend on-campus programs, online programs have emerged that provide students with the flexibility to balance work, family, and school commitments. Online universities vary in both quality and accreditation. Students should explore programs details to identify a suitable match. However, without knowing what to look for, students often struggle with this research process. The list below contains online human resources degree programs vetted through the Integrated Postsecondary Education Data System. IPEDS examines information such as the cost of tuition, graduation rate data, program-specific resources, and overall student services. Students who want to pursue a career in human resources would be most interested in Rutgers University's online Bachelor of Arts in Business Administration (BABA). While the BABA program is not strictly focused on the field of human resources, the program does requires human resources experience. The general coursework is meant to give students a broad understanding of business administration and students can focus their education on 1 of 2 tracks: general management or hospitality management. The online coursework for both tracks matches the intensity of its on-campus counterpart, a reason why the online program has been accredited by the Association to Advance Collegiate Schools of Business. The BABA is offered entirely online and is designed to be completed in 4 years. Courses, however, are offered year round, allowing online students not only the flexibility to begin their education in the fall, spring or summer, but also the ability to study at their own pace, taking classes full time, part time or year round. Students who opt for the year round track have the option to complete their degree more quickly. All students receive access to tutoring and advisors, and after earning their degree, students will also have access to career coaches and an extensive alumni community. Graduates of Rutgers University's online Bachelor of Arts in Business Administration program are prepared for careers such as human resources managers, marketing executives, operations managers and financial services sales representatives. Created with adult learners in mind, the online school at Southern Nazarene University often requires that students have previous college experience prior to applying. This is the case with the online Bachelor of Science in Business Administration, SNU's online program for students interested in human resources. Designed for transfer students, anyone in the BSBA program would need at least 60 transferable college credits. Once enrolled in the BSBA program, students will take upper division courses that focus on human resources. These courses aim to provide students with the necessary knowledge on how to recruit and train employees in today's complex and diverse workplaces. Practical experience is also a focus of the BSBA so students can graduate career ready. To ensure each online student is provided personal attention from their educator, SNU keeps their online class sizes small, capping their classes at 20 students. Academic supports, like web tutoring, are also available for all online students. Though the BSBA program is offered entirely online, students also have the option of completing some or all of their coursework in weekly night classes offered in Bethany and Tulsa, Oklahoma. Online classes are condensed, typically lasting only 5 or 6 weeks. Because of this, most students don't work on more than 1 or 2 courses at a time. Students pay a flat rate for the entire program, regardless of how many courses they need or how long it takes them to complete them. Columbia College offers 2 options for students who are interested in pursuing a career in human resources: a Bachelor of Science in Human Resource Management or a Bachelor of Arts in Human Resource Management. Both programs share many of the same courses and requirements; for example, both require 120 credits to graduate, 39 of which must be completed at the upper division level. Both programs also require students maintain a C average or higher in their upper division courses in order to graduate. Regardless of which major students choose, they can complete the degree entirely online. Hybrid options are also available through any of Columbia's 20 campuses. Students who choose to study solely online, however, will receive a flat tuition rate per credit regardless of what state they live in. This flat rate is lower than the cost of attending on campus. Military students also receive a discount on the online tuition, further reducing the cost of earning a degree in human resource management. There are a few differences between the BA and BS options though, particularly for transfer students. Students who have previous credits are able to transfer up to 27 credits into the BA program and 48 into the BS program. There are also slight differences in the coursework as the Bachelor of Arts in Human Resource Management has more required courses, leaving less room for electives. While career placement is the primary goal of both of Columbia College's human resource management degrees, both will also prepare students for graduate school. Temple University offers 1 entirely online degree for those interested in human resources: the Bachelor in Business Administration. This degree is highly customizable, allowing students to select from 9 minors and 6 majors, one of which is in human resource management. While some of the coursework remains consistent across all majors, the human resource management major places an emphasis on employee recruitment and development, labor relations and law. All students studying toward this major will be entered into the professional development program, which gives students real-world experience with HR and teaches them the technical skills they'll need to know to begin a career in this field. To graduate with a BBA in Human Resource Management, students will need to maintain a GPA of 2.0 or higher. There are also 4 required courses specific to the human resource management major as well as 2 required elective courses. Each course in the program is offered entirely online, and students have the option to choose between an asynchronous format and live instruction. Some courses are offered in the traditional 15-week semester period while others are in 6- or 7-week accelerated formats. Each course format, however, charges the same flat rate tuition fee per credit. Online students have access to the same faculty and resources as on-campus students, including access to the Center for Student Professional Development. Graduates with a BBA in Human Resource Management go on to have careers in areas such as talent recruitment and retention, labor relations, compensation and benefits, and training and development. For students who have some professional experience with organizational management, Bellevue University's online Bachelor of Science in Human Resources Management degree blends real-life experience with online learning. The goal of the program is to help current professionals advance through their career after completing the 127-credit degree. While the credit requirement may seem large, students will actually be on pace to complete their degree more quickly than other degrees; this is becauase most courses in the program are worth 4 credits instead of the traditional 3, creating an accelerated timeline. The BS in Human Resources Management assumes that students have previous professional experience in a field related to HR. It also requires that students have previous higher education credits, since it is technically a degree completion program. Students will be required to have a minimum of 60 transferable credits to be considered for this entirely online program. These credits must have been completed with a grade of C- or higher to be considered transfer eligible, and transferred credits will only count toward lower division credits as Bellevue requires that specific upper division courses be completed through its program to earn the degree. Bellevue University also offers a flat tuition rate per credit regardless of whether students study online or on-campus, so students who prefer to combine the 2 won't have to worry about changing costs or fees. Online support is also available to students at any time, and each course has limited class sizes, giving students a more personalized experience. Whether students are transferring from another school or are just beginning their college education, Florida International University has flexible online programs designed to fit any schedule. One of FIU's online undergraduate programs, the Bachelor of Business Administration in Human Resource Management, fits the needs of all students interested in the HR field. Offered entirely online, this program gives students a broad understanding of the field with some option to specialize through elective courses. To earn a degree in human resource management, students will need to complete FIU's business pre-core courses, which total 21 credit hours and are all available online. To be eligible for upper division courses, students need to have a C or higher in each class. Students should plan on taking these courses through FIU even if they have transfer credits. Once they complete these courses, students can move on to the business core courses, which also require a minimum of a C, and the major courses. These courses align with the Society for Human Resource Management's (SHRM) curriculum guide. Courses have 3 different start dates throughout the year and follow the traditional fall, spring and summer semester formats. FIU has 2 flat-rate tuition charges: 1 for Florida residents and 1 for out-of-state students. All of their online students get connected with a success coach who helps them through their degree, ensuring students are prepared for whatever HR career they're interested in. This program is also available online through FIU's honors college. Students who graduate from this program will be equipped with the skills necessary to be successful in this field, including knowledge in employment law, how to attract qualified employees and how to match others to careers best for them. Among the top schools in North Dakota for online education, Dickinson State University offers an array of different online education options, including its Bachelor of Business Administration in Human Resource Management. The online BBA in Human Resource Management gives students access to many of the same resources as on-campus students, including a personal advisor and the same high-quality courses. A total of 120 credits are required to complete this program, which are broken into general core classes, business core classes and human resources core classes. Students will also be required to complete 3 elective courses to graduate, which students can count toward a specialization in another field or complete in the human resources field. Although the human resources program is available entirely online, students can also complete some of their courses at Dickinson's Bismarck campus if they prefer a hybrid format. A cumulative GPA of 2.25 is required to earn a degree. Many of the lower division courses can be avoided with transfer credit, although the program is designed for students who don't have any previous college credit. Regardless of where students live or how many courses they choose to take, students will have access to a flat rate online tuition per credit. The cost per credit may change, however, depending on whether or not the course is online. Students who are taking the program online through the honors school will be required to complete a minor in leadership as well. 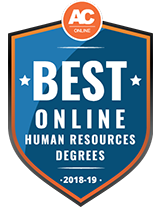 The online BBA in Human Resource Management strives to provide its graduates with an understanding of problem-solving techniques, leadership and management skills, and a foundation in ethics and laws pertaining to human resources. With an emphasis on Christianity applied to all their programs, Colorado Christian University's online Bachelor of Science in Human Resource Management combines the traditional human resources education with Christian principles. The HR coursework and program outcome fits the guidelines of the Society of Human Resource Management, and the program is accredited by the Higher Learning Commission. Of the 120 required credit hours, 6 will be in Biblical studies, and some additional courses will have an emphasis on Christianity. Courses in this program are typically offered in 5-week periods, allowing for an accelerated degree. Students interested in continuing on to a master degree at CCU can also apply one of these courses to their Master in Business Administration degree. While there are no concentrations available with the program, students can specialize their education with 1 of 9 online minors, such as workforce planning, compensation and performance management. Because Colorado Christian is a Christian school, some of these minors are specifically geared toward students who want to eventually work in the ministry. Minors will require additional studies beyond the required 120 credits. In addition, elective credits are required in the major, and these can be used to further specialize the degree. CCU also accepts up to 90 transfer credits, so students with enough previous college credit can complete their degree in as little as 1 year. Tuition for the program is charged at a flat rate per credit, and it is the same for on-campus or online study. Additional fees may also be placed on top of each credit, depending on the requirements for the course. Indiana University Bloomington has one of the largest online program offerings in the region. With over 120 online programs available, students interested in human resources have multiple options. Those interested in a 4-year bachelor's degree program would want to apply to the Bachelor of Science in Labor Studies. This 120-credit hour program is offered entirely online, and courses have start dates throughout the year, letting students begin the program whenever they're ready. Students enrolled in this program are prepared for jobs like union organizers, human resources specialists, public policy advocates and labor relation specialists upon graduation. To be eligible for the BS in Labor Studies, students will need to have at least 12 transferable credits. Students who have plenty of previous college experience can transfer up to 64 credits from a 2-year school, potentially cutting the time it takes to earn the degree in half. Those who already have a bachelor's degree in another field can transfer up to 90 credits, leaving only the some of the upper division courses specific to the program to complete. Online students at IU Bloomington receive the same benefits as any on-campus student at any of IU's campuses. For example, online courses are taught by on-campus staff and faculty, and online students are given access to career and financial aid services. The cost of the online program depends on whether the student is a resident of Indiana or not. In-state students receive a lower cost per credit rate than out of state students, but both are charged a flat rate per credit, making it easier to evaluate the total cost of completing their degree. All of the online programs at Davenport University are related to fields with a high demand for labor, and they prepare students to begin their new career immediately after graduating. One way DU does this is by offering a broad education in these fields. For example, the Bachelor of Business Administration in Human Resource Management can lead to roles such as a human resources specialist or manager, a job analyst, a recruiter and a labor relations manager. This BBA in Human Resource Management is offered both entirely online and on-campus, allowing students to blend the 2 if they prefer a hybrid form of study. To earn this degree, students will need to complete 120 credits. DU has a strategic sequence for the program, so students who study full time should be able to complete this degree in 4 years. The coursework is in line with the Society of Human Resources Management (SHRM) standards, and students will be eligible to become SHRM certified during their final year of study. These certification courses are offered through Blackboard, an online learning platform, and can be accessed at any time. Through available electives, students can also include an internship in their education, earning experience and college credit at the same time. While out of state students will have to pay a higher tuition rate than Michigan residents, students who complete their degree entirely online will receive a discounted tuition rate, making their education more affordable. Along with their SHRM approval, DU's BBA in Human Resource Management is accredited by the International Accreditation Council for Business Education. Already one of the largest institutions in the region, the University of Arizona has been steadily growing its online offerings. Included in U of A's 100+ entirely online programs is a Bachelor of Science in Business Administration. Through the 4-year BSBA, students will recieve a general education in at least 5 of 7 business fields: accounting, economics, finance, management and policy, management information systems, marketing and public administration. While human resources isn't one of the 7 focuses, there are multiple human resource courses available, particularly for the management fields. The goal of this program is to give students a broad and general understanding of business administration, which can lead to many different careers, including careers in or related to human resources. The University of Arizona also helps students with their job searchs, and online students receive access to academic advisors and an extensive alumni network, both of which aid in preparing students to find a position in human resources. There is a flat cost per credit for all students, regardless of where they live. However, the cost per credit will increase once students are admitted into the School of Business, which is necessary to earn this degree. While most courses can be completed at any time, some may require discussions with other students. These will be determined ahead of time, so students should be able to work them into their schedule. If students prefer on-campus studies, they are allowed to enroll in a hybrid of online and in-person courses. Additional costs, however, are associated with choosing to study on-campus. Through a combination of Fontbonne University's online and on-campus night courses, students can earn a Bachelor of Business Administration in Management and Leadership. This 4-year program's coursework covers most types of business management, including human resource management. In the required coursework for this program, students will be required to take a lower and upper division course in human resource management. More exposure to human resources can be received through elective courses or through an internship that Fontbonne counts as upper division credit. Also, because of Fontbonne's religious background, all students will be required to take at least 1 course related to theology. In total, students will need to earn 120 credits to graduate. Students coming in with transfer credit can reduce the time it takes to complete this program. It's important to point out that Fontbonne only has 2 formats for this program: a traditional on-campus format and a hybrid of online courses and night courses. This means that students will be required to spend at least some of their time studying on campus. Regardless of which format students pick, both programs share staff and faculty, so they are matched in quality. Both types of students also share the same tuition rates, which are determined by how many credits students earn each semester. Fontbonne's BBA in Management and Leadership has highly positive outcomes in that 96% of program graduates are placed in a relevant career within 6 months of earning their degree. This is due, in part, to Fontbonne's career development program, which is available to all students. To fit the schedules of busy students trying to earn their degree in human resources, Northern Kentucky University offers two types of online degree structures: a traditional online structure or an accelerated structure. The traditional structure follows the on-campus semester schedule with a session during the summer. The accelerated structure offers courses around the year in accelerated 7-week periods, so each course takes roughly half the time to complete as compared to the traditional format. Students hoping to earn a degree related to human resources can apply to NKU's Bachelor of Science in Business Administration - Management program. This degree program, offered entirely online, teaches students how to become managers in different positions, including human resources. The BSBA in Management does not require transfer credits to get accepted into the program, although NKU does accept transfer credits if a student has already completed higher education courses. A total of 120 credits are required to graduate, including a course in human resources administration and elective courses related to human resources. All online courses are offered through Canvas. Students who study full time can complete this program in the traditional 4-year period. Since accelerated course options are available, however, students also have the potential to complete their degree in less than 4 years. Start dates occur throughout the year, and students will get paired with an academic advisor to help them decide what courses and course structure are best for them. All students will be charged a flat tuition rate per credit, regardless of where they live or if they're taking courses in 7-week or semester periods. As a small school with around 1,000 students, Cleary University takes a focused approach with all its students, giving them personalized attention in each course. Its low 11:1 student-to-faculty ratio translates to its online programs, which blend with its on-campus programs. The majority of their degree options are offered on one of the campuses, online or through a hybrid of the two. One such program, the Bachelor of Business Administration in Human Resource Management, is one of the more popular degrees in the school's robust undergraduate business school. The BBA in Human Resource Management is a 4-year, 120-credit program. While students will have access to an academic advisor, Cleary lays out what the traditional 4-year study method looks like, letting students plan ahead so they can finish their degree on time. In the BBA in Human Resource Management program, students will get an overall education of human resources with the option to earn specialized experience through elective courses. Cleary suggests that students should look for a way to earn work experience while earning their degree to increase their chances of getting a job immediately after graduation. Instead of charging a flat per credit tuition rate, Cleary charges a flat fee for nontraditional students, including those who study online. The flat fee is applied to each semester, and the cost remains the same regardless of whether students are studying part time or full time, encouraging students to complete their degree in 4 years. Graduates of this program will leave with skills in management, developing organizational culture and interpersonal communications. Intellectual and spiritual growth are important parts of Nyack College's culture, and both are reflected in the required curriculum. Students at Nyack will be required to take some Biblical and theological courses to be eligible to graduate, even if they are studying online. For students interested in a human resources career, Nyack College offers an online Bachelor of Science in Organizational Management degree. This program places an emphasis on human resources, and many graduates of the program go on to begin careers in human resources fields like executive leadership and sales. Courses in the organizational management program are offered every 6 weeks, and many of the courses are accelerated. Nyack also accepts transfer credit; students transferring from a 2-year institution can bring in as many as 60 credits, and those transferring from a 4-year institution can bring in up to 84 credits. With the accelerated nature of the courses and the potential to transfer so many credits, it isn't uncommon for some students to complete this degree in as little as 16 months. While Nyack online students will be studying from wherever they want, students will be placed in a cohort, meaning they'll be taking the same courses together for the entire program. The goal of the cohort is to have students help each other while building connections along the way. New cohorts begin with all of the 6 start dates. All students will also pay the same flat per credit tuition rate regardless of what term they're studying in or where they live. With 20 years of distance learning experience, Pennsylvania State University has grown its online school year after year, continuing to devote more resources to the program. In recent years, this has meant increasing the number of courses and programs that are offered entirely online while increasing the total global student body to over 20,000 students. One program that has been growing in popularity is the Bachelor of Arts in Labor and Employment Relations, which is targeted toward students interested in a career in human resources. This BA places an emphasis on labor laws, teaching students how to engage with employees and developing workplace culture. Along with the BA in Labor and Employment Relations, PSU has a Bachelor of Science in Labor and Employment Relations. Instead of focusing on law, culture and diversity, the BS places an emphasis on staffing, recruiting and compensation. While some of the upper division coursework will differ for the BA and BS, both have a lot in common. For example, regardless of which students pick, they'll need to complete 123 credit hours to earn the degree, all of which can be completed entirely online. Courses follow the traditional semester format and typically last 12-15 weeks. Both also have the same flat rate per credit, which is the same for all students, regardless of where they live. All online students at PSU also have access to student services, including career counseling, degree advising, tutoring and tech support. Designed for busy, working students, Wilmington University's online school places an emphasis on flexibility. Their online courses are offered every 8 weeks, allowing students to begin their education whenever they're ready, and students are allowed to transfer up to 90 credits toward their degree, regardless of what they're studying. For students interested in human resources, this means that earning a Bachelor of Science in Human Resource Management can take as little as 1 year to complete. On top of transfer credits, any students with previous work experience related to human resources can earn credit for their work, further reducing the cost and time it takes to earn a degree. While studying toward a degree in human resource management, students will be required to complete 120 credits, or 40, 3-credit courses. Each course has a flat cost per course, which is the same for all students, in-state or out-of-state. The cost per course can be further reduced with financial aid. Every course in the human resource management program is available entirely online, although students are allowed to study in a hybrid on-campus, online format. To keep online education affordable, Wilmington also allows students to apply some of the credits they earn in the bachelor's degree to other degrees or certificates through their dual-credit program. In addition, many of the courses in the degree don't require textbooks, further cutting the cost. However, additional fees may be required for some courses. The BS in Human Resource Management is accredited by the International Accreditation Council for Business Education and prepares graduates to handle issues in areas such as compensation and benefits, staffing and HR planning. With roots stretching back over 70 years, the University of Maryland - University College has plenty of experience educating working adults and military members. UMUC's global campus has been growing over time, continually adapting for modern students. In particular, UMUC's online school through the global campus is the newest area of expansion. Within this school is an option for students to earn an online Bachelor of Science in Human Resource Management degree, a popular program at UMUC. Designed to align with the Society of Human Resource Management (SHRM), this program teaches students everything they need to know to begin a career in human resources. The program places an emphasis on laws and regulations, labor relations and developing cultures. To earn their bachelor's degree, students will need to complete 120 credit hours. Every course required for this program is available entirely online, and some are available in a blend of online and on-campus learning for students who prefer some face-to-face instruction. Students will pay a flat rate per course in Maryland's online program, although out of state students will be required to pay a higher amount than in-state students. While there are no specializations offered with this degree, students will be required to complete 43 elective credits, which can be more than enough to complete a minor. Up to 90 transfer credits are allowed for this program. Upon completing the BS in Human Resource Management, students will be prepared to take the Professional in Human Resources certification exam along with other potential professional certifications. Student success is important to Concordia University, Saint Paul, both when students are in school and after they graduate. Because careers after earning a degree are an important outcome, Concordia has placed an emphasis on helping students find a job after graduating, and its students have found success, with 95% of graduates beginning a career within a year of earning their degree. The same success is applied to graduates of CSP's online school. Students in the online school pay the same flat rate for tuition regardless of where they live, and they'll be able to transfer credits to reduce the time and cost of learning. All students transferring in with an associate degree are immediately eligible for a scholarship, further cutting the costs of the online degree. Concordia's Bachelor of Arts in Human Resource Management is one of its online programs that is offered wholly online. The human resource management degree can be completed either entirely through Concordia or by transferring in. Technically, the program only requires 40 credit hours; however, students will need a full 120 credits to earn a bachelor's degree. Aside from the required 40 credits for the major, students will need to be able to satisfy the school's core requirements and elective courses, all of which are also available online. Courses in this program are accelerated, lasting just 7 weeks, and admissions are rolling, so students can begin studying at multiple times throughout the year. The BA in Human Resource Management is aligned with the Society for Human Resource Management's curriculum guide. Founded in 1868 and serving approximately 5,000 students, Hampton University offers a Bachelor of Science in Systems Organization and Management with a Concentration in Human Resources Management. By studying the interconnection between organizational behavior and human resources, students are introduced to the foundations and theory underlying management. Online learners take courses in a diverse curriculum comprised of classes in economics, finance, liberal arts, management and marketing. Major courses include Business Law, Business Organization and Management, Business Communication, Principles of Marketing and Labor Management Relations. They examine modern organizational management problems and develop the specific leadership skills necessary to overcome these challenges. Those who complete this program are equipped for entry and mid-level positions in both the public and private sectors. Online learners may also choose several elective courses to help them hone in on a specialty area of study. Courses are either 8 or 16 weeks in duration and can be completed in a self-paced, asynchronous format. Students need 122 credit hours for graduation. Incoming students may be eligible to transfer credits provided they have a grade of "C-" or higher. In most cases, full-time students complete the degree in 4 years. Distance learners have access to a number of academic and library resources, including Library Services, advising and course scheduling assistance, Writing Center and Counseling Center. Applications should include the non-refundable application fee, a 300-word essay outlining academic and career aspirations, ACT or SAT scores and official transcripts. The University of Arkansas offers an online Bachelor of Science in Education in Human Resource and Workforce Development Education. This is an adult degree completion program that strategically combines the study of workforce development with human resources. Online students in this program learn to apply career planning, counseling skills and integrated training to manage and design programs. The degree aims to improve employability, productivity and workplace success. To be admitted to the program, prospective students must have 3 or more years of full-time work experience, complete all 35 hours of the university core courses, including the pre-major core requirements and have a 2.5 GPA or higher. Pre-major requirements include classes in general psychology, college algebra, 6 hours of economics, and 3 hours of mathematics. Of the required 120 credit hours, major-specific courses include Foundations of Human Resource Development, Strategic Human Resource Development, Legal and Ethical Issues, Communication in HR and Workforce Development and Writing for HR. Incoming students may receive a maximum of 19 credit hours from credit by examination and experiential learning. All required courses can be completed online throughout a traditional 15-week fall and spring semester schedule. Summer classes are available, offered in 5-week sessions. Bachelor's degree seekers must complete a capstone course during their last semester. U of A uses the Blackboard Learning System to deliver synchronous, live-streamed classes. This technology allows you to communicate with your classmates, turn in assignments and take exams from the comfort of your home. Depending on transfer credits, some students finish this degree in less than 4 years. Huntington University, a private school, was established in 1897 and is affiliated with the Church of the United Brethren in Christ. Its Bachelor of Science in Human Resource Management program is designed for working adults, many of whom already have 2 years worth of college-level credits from a regionally accredited school and significant professional work experience. It is entirely online and delivered in an asynchronous format. Online students undertake a diverse curriculum, comprised of 5-week classes, and explore the foundations of the HR field. Coursework in this program is significantly finance- and business-focused. Required business and management courses for this degree include Diversity in the Workplace, Management Concepts, Principles of Microeconomics, Introduction to Marketing, Group and Organizational Behavior, Statistics for Managers, Business Law and Strategic Planning. Online students must take Business Math and Principles of Accounting as prerequisites for Managerial Accounting. A capstone course is also required for graduation. As a Christian-based school, students can expect to take a series of religion courses to satisfy core requirements. Applicants need only to submit a completed online application form, application fee and financial information. Prospective students should have a minimum 2.3 GPA and submit their SAT or ACT scores. Incoming students may be eligible to receive credit for previous college coursework, CLEP, DSST, American Council on Education (ACE) evaluations, training and military experience. This degree requires a total of at least 128 semester hours with a cumulative 2.0 GPA or higher. Online learners at Huntington have access to student services such as career counseling, online job postings, library resources and tutoring. Founded in 1865, and with a current student population of 12,500 students, Indiana State University is a public university offering a Bachelor of Science in Human Resource Development. This program is for new freshman, experienced transfer students and working adults who wish to finish their degree remotely. This curriculum, built on competency studies from the American Society of Training and Development and the Society of Human Resource Management, allows online students to explore this interdisciplinary major through training in behavioral sciences, business and education. Students are encouraged to pick a minor concentration to hone their skills and area of specialization further, but it is not required. Students can engage in a major-core curriculum with courses like Work-Life Integration, Organizational Development, Contemporary Issues in Human Resource Development in addition to 9 directed electives. New freshman applicants should have proof of completing the Indiana Core 40 high school curriculum with a 2.5 GPA or higher and passing both the math and English sections of the Indiana Statewide Testing for Educational Progress test. They should also submit ACT and SAT results. Transfer students may be able to receive credit for up to 90 credit hours toward their bachelor's degree, but at least 30 of credits must be completed at Indiana State to be eligible for graduation. Courses are only considered for credit if they have a "C" grade or higher. Graduates of this program often seek out positions in HR training and development, performance management systems, union/labor relations and other general human resources positions. This online program is not open to non-U.S. military students residing outside of the the U.S. and Canada. Hawaiâ€˜i Pacific University is a private institution, established in 1965, with more than 5,000 students. Online learners can earn a Bachelor of Arts in Human Resource Development over the course of 4 years. The curriculum stems from the guidelines and resources from the Academy of Human Resource Development and the Association for Talent Development. As a result, students obtain knowledge and skills in 9 competency areas: strategic talent management; instructional design; training delivery; eLearning and learning techniques; measurement, evaluation and analytics; organizational development; organizational leadership; organizational staffing and project management. Upon completion of the program, HPU students can design and evaluate training and development activities, organizational techniques and talent management strategies. A total of 120 credits are required for this degree. Students have to maintain a cumulative 2.0 GPA to remain in good standing. At least 12 credits of the major courses and the final 30 credits before graduation have to be completed at HPU. Prospective first-year students should have taken courses in English, history, math, natural science, and a foreign language before applying. The admissions team considers applicants' GPAs, SAT or ACT scores, extracurricular activities, personal statement and academic interests and aspirations. HPU gives special consideration to those with honors courses, advanced placement courses and international baccalaureate program courses. Transfer students should have a 2.75 GPA or higher. Any course considered for transfer credit must have a "C-" grade or higher. Granite State College is a public school established in 1972. Students in its Bachelor of Science in Human Resource Administration program learn about the fundamentals of HR, organizational development, global workforce operations and strategic management. All students in this entirely online program complete at least 120 credit hours of coursework. In addition to general education courses such as Communication, American Culture and Critical Inquiry, GSC students take a diverse set of major-specific courses. From Managing Conflict and Statistics to Workplace Coaching and Effecting Positive Change in Organizations, the GSU curriculum provides business-driven training in evidence-based decision making. GSC subscribes to an open admission policy; All those with a high school diploma or GED certificate are accepted. There is no required minimum GPA or standardized testing. Students may begin classes during any term of the academic year. Incoming students may be eligible to receive credit for college-level knowledge gained from military, volunteer or workplace experiences. Transfer credits with a "C" or better, along with most associate degrees in management, organizational behavior and statistics, may be transferable toward one's bachelor's degree at GSC. The school makes a concerted effort to help transfer students get the most out of their previous credits, and almost 84% of its the students are transfer students. Graduates of this program often pursue careers in both the public and nonprofit sectors recruiting employees, coordinating company training and managing employee policies. GSU prides itself on offering extensive career planning resources and individual advising sessions. Whether students are entering the job market, looking to change fields or move up the ladder at their current job, online learners can take advantage of these advanced services to help them meet their educational and career milestones. Human capital is a key factor in understanding an organization’s bottom line. Human resource departments in large companies often require teams of professionals who specialize in a particular area, while smaller organizations seek talented professionals who can handle multiple human resource responsibilities. 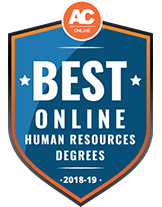 No degree guarantees a particular job or salary, but an online human resources degree provides students with skills that make them an asset to employers and leads to a variety of career opportunities in this field. According to the BLS, human resource professionals are projected to see a 9% increase in job growth through 2026. Human resource specialists collaborate with employers to outline their talent needs, including interviewing applicants, verifying references, hiring, training, and monitoring employees. Other duties may include processing payroll and educating stakeholders about best practices and policies. To qualify for this role, most employers require candidates to have at least a bachelor’s degree. Human resource managers devise plans and coordinate daily functions for incumbents. Additionally, these managers oversee benefit programs and advise other managers where conflict resolution is needed. At times, these managers must respond to harassment and equal opportunity complaints. Depending on the size of the organization, HR managers might oversee recruiting efforts including screening candidates, hiring, training, and performance management. These specialists are part of a human resource team, and they strive to assist organizations with monetary decisions and policy structures. Other duties include developing strategies that lead to an increase in worker productivity, but responsibilities may be more narrow depending on the size of the organization. For instance, a specialist might only be responsible for managing pensions. Training and development managers are responsible for outlining action plans for overall talent management. This includes creating course content for training and overseeing training programs, which may require professionals to collaborate with subject matter experts who know what should be included. These managers may also need to collaborate with peers to understand what additional needs must be addressed. Training and development specialists assist with the creation of training materials and often lead courses themselves. These specialists conduct needs assessments through interviews, surveys, and one-on-one meetings with managers. Other responsibilities include maintaining systems and equipment needed for development purposes. To qualify for this role, candidates must have a bachelor’s degree. Students should understand job growth data when considering an online human resources degree, as multiple factors influence a graduate’s earning potential and number of opportunities. For instance, California, Texas, and New York have the highest level of employment for human resource specialists, which indicates these states are good geographic locations for this career path. However, the District of Columbia, New York, and Massachusetts are the highest paying states for this career path. Students should not assume that every human resource program offers what they need to pursue their ideal career. While general education requirements tend to be similar, core human resource content varies by school. Influential factors include accreditation and available resources the school has for program development. The list below contains common courses students may take. Students should consider the skills needed for their future career when assessing curricula. Organizational behavior teaches student analytical skills used for assessing group behavior in professional settings. Ultimately, students should use data for management improvement, efficiency, and professional environment development for incumbents. This course teaches operation and integration practices that establish a connection between human resource information systems and professional environments. Students also learn alternative methods for increasing recruitment and simplifying the hiring process. Mergers and acquisitions can lead to disruptions in professional environments. This course helps students adopt a strategic management viewpoint to address these scenarios. This course also provides insight on challenges professionals in the field experience currently. Organizations directly impact their stakeholders by the decisions they make. CSR examines and sets standards for ethical and socially just organizational behavior. Course objectives include examining motives and methods of integration for CSR. Human resource professionals use performance management systems that create higher productivity and quality of life for incumbents. This course also teaches students about different types of performance assessments, methods for coaching, and common mistakes. Multiple components should be examined when choosing an online human resources degree. The accreditation of a university can impact marketability when applying for jobs or if a student needs to transfer. On the other hand, students considering an advanced degree in their field may want to identify a school’s program offerings or alumni tuition assistance. In this section, common questions about online human resources degrees are addressed. How long does it usually take to complete an online human resources bachelor’s degree? An online bachelor’s degree in human resources generally takes four years to complete if students attend full time. If attending part time, or if students choose a speciality or minor, program lengths may extend. There are also accelerated programs that allow students to graduate in under four years. Which organizations provide accreditation to online human resources degree programs? While the focus of human resource and business degrees differ, the curriculum shares commonalities. Therefore, students may want to consider programs accredited by the Society for Human Resource Management (SHRM), Accreditation Council for Business Schools and Programs, or the Association to Advance Collegiate Schools of Business. Students should also consider regional accreditations for general education standard reassurance. Does this degree lead to licensure or prepare me for certifications? Multiple certifications exist for students through universities and professional organizations. For instance, the HRCI offers a PHR certification that indicates students thoroughly understand strategic development or risk management; field experience or an exam may be required. Is it better to choose a bachelor of arts or science for a human resources degree? While both options include similar content for major requirements, general education courses are quite different. A bachelor of arts focuses on liberal arts including sociology or psychology, which could prove useful for understanding others. Alternatively, a bachelor of science emphasizes math and science and develops problem solving and strategic thinking skills. Students should consider what skills they will need most for their chosen career path and decide on a bachelor of arts or science based on that information. How much does an online human resources degree cost? The cost of tuition depends on the type of school that interests the student. Online programs without brick-and-mortar facilities often charge less because they do not have the same overhead cost. Furthermore, many on-campus schools charge the same tuition rates for online students. In general, students should expect to pay between $6,000 and $10,650. Students who need financial assistance often resort to aid in the form of grants, loans, and work-study. Both grants and work-study programs work in the student’s favor because they do not have to be repaid. However, loans collect interest and must be paid back after graduation. Scholarships are another aid option for students to consider, as they do not have to be repaid. Many organizations and foundations make it their mission to support specific populations of students and offer scholarship awards to help offset the cost of higher education. This list below includes scholarships for HR students. The San Antonio Human Resource Management Association offers a $1,000 scholarship to undergraduate students enrolled in an accredited university. Students must submit transcripts, recommendation letters, and an evidence-based essay using a SHRM article. Students who have won this scholarship in the past may reapply each year, and those involved in volunteer work and SHRM activities are given preference. DallasHR offers the Drew Young Scholarship to full-time undergraduate students who are in the last two years of their program. If applicants have not already joined, they must obtain a SHRM student membership and participate in functions throughout the year. Students must have a minimum 3.0 GPA, submit official transcripts, and complete a 100-word essay explaining what inspired them to study HR. Winners receive $2,000 and free registration to The HRSouthwest Conference. Each year, the National Urban League offers this scholarship to undergraduate students in their junior year who are enrolled full time at an accredited university. Students must rank within the top 25% of their class. Ideal candidates can provide proof of volunteer work, professional experience or internships, and leadership skills. In addition to the $5,000 scholarship, the winner also receives a paid internship at a Gillette company the following summer. The HRIS Payroll Software company offers a $1,000 scholarship to students studying human resources in the U.S. Awards are given directly to the student’s university to cover tuition, books, or fees. Students must have a minimum 2.5 GPA and be able to prove their commitment to human resources in a personal statement. Letters of recommendation and transcripts are also required. The National Forum for Black Public Administrators offers this $2,500 scholarship each year to students enrolled in an accredited bachelor’s degree in human resources. Students attending historically black colleges and universities have preference. Additional requirements include participation in extracurricular activities (besides athletics), exemplary communication skills, leadership skills, and a minimum 3.0 GPA. Students should also have work or volunteer experience and be able to provide letters of recommendation. Those working 35 or more hours per week are not eligible for this scholarship.